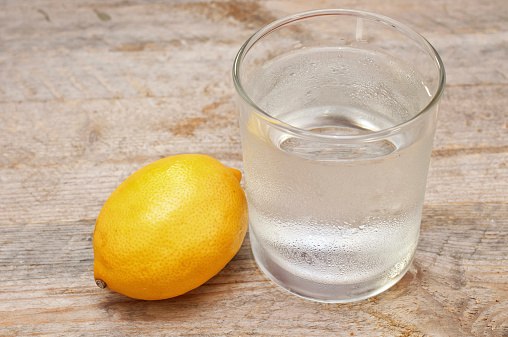 Home » General Health » Should You Do the Master Cleanse? Should You Do the Master Cleanse? With the summer season fast approaching, it seems like many people are embarking on “cleanses” in order to detox their bodies and get in shape for the summertime. For instance, last week one of my holistic nutrition classmates told me she wanted to make a positive health change. At lunch, she prepared a concoction of fresh lemon, cayenne pepper, rich maple syrup, and water—ingredients for her juice-fasting diet. “It’s part of the 10-day Master Cleanse,” she said as she sipped her beverage. • Ease in to the Master Cleanse with a whole foods diet for about three days. During the first day, eliminate processed foods, dairy, and meat, and include lots of vegetables and some fruits. For the next two days, consider consuming freshly blended smoothies, juices, and homemade soups or broths. End each day with an herbal laxative tea, such as peppermint tea. • Whenever hungry, drink the Master Cleanse lemonade. You will likely drink between six to 12 large glasses per day, but it can benefit you to drink more. It contains eight ounces of filtered water, two tablespoons of lemon juice (freshly squeezed), 1/10 teaspoon of cayenne pepper powder (preferably organic), and two tablespoons of rich, organic maple syrup. • End each day by drinking a cup of peppermint tea. • The ease-out phase should include a whole foods diet. • Weight loss: You’ll consume about 650 calories each day on the Master Cleanse, so you can expect to lose some weight. Keep in mind that most of the weight will be water weight and muscle mass, not fat. It is best to adopt a whole foods diet post-fast to help keep the weight off. • Helps reset unhealthy eating habits: Cleansing can help you eliminate food cravings and put you back on track to healthy eating habits. • Detoxifies the body: Since you will avoid all stimulants during the cleanse (such as caffeine, alcohol, tobacco, drugs, etc. ), the Master Cleanse will help the body release toxic substances. • Cleanses the colon: The combination of herbal tea (some people even include laxatives) as well as the lack of solid food will help cleanse your colon. Cleansing also helps the digestive system rest and can improve your overall digestion. Downsides: What Are the Possible Side Effects of the Master Cleanse? Since you’ll be surviving on no solid food and much fewer calories than normal, side effects may include chills, nausea, vomiting, headaches, loss of muscle mass, irritability, and a lack of energy—although some people claim that the detoxification effects have provided them with greater amounts of energy. Should you try the Master Cleanse? A cleansing diet can be a beneficial start to a healthy lifestyle for many people, particularly for those who are overweight or obese. It is important to remember that is a short-term cleanse; it is recommended that you stick to a whole foods diet post-cleanse in order to avoid weight gain and maintain proper nutrition. Also keep in mind that not everyone will have the same experience. Always speak with your doctor before embarking on any cleanse, especially if you have a medical condition. Olaski, M., “Master Cleanse and The Lemonade Diet,” The Master Cleanse web site, December 2, 2014; http://themastercleanse.org/. “Master Cleanse (Lemonade Diet),” U.S. News & World Report web site; http://health.usnews.com/best-diet/master-cleanse-lemonade-diet, last accessed June 5, 2015. Jones, M., “What Are the Benefits of the Master Cleanse Diet?” Livestrong.com, October 23, 2013; http://www.livestrong.com/article/237224-what-are-the-benefits-of-the-master-cleanser-diet/. Del Ponte, M., “Why I’ll Never Do The Master Cleanse Again, But Recommend It To Everyone,” MindBodyGreen web site, November 1, 2013; http://www.mindbodygreen.com/0-11482/why-ill-never-do-the-master-cleanse-again-but-recommend-it-to-everyone.html.